You’ve got to love my new Canon 650D. It takes no prisoners when it comes to detail – I zoomed in on the photograph above and it literally took my on a journey down one of my open pores. Scary stuff! But quite useful when looking at how makeup products perform; you can actually examine how a foundation sits on the skin, how well a mascara coats a lash. It’s a bit like being able to put my own face under a microscope. The foundation is looking pretty marvellous is it not? I’ve not tampered with the exposure or contrast or anything else in the photograph, it is what it is. (Not that I ever “tamper”, but if you put a photo through Instagram it does tend to soften things and make it all look fabulous. This is just a raw jpg file.) 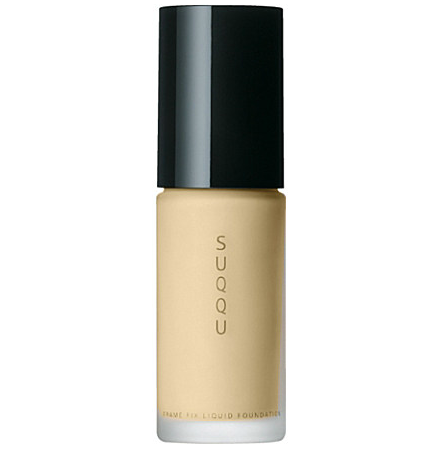 And the Suqqu Liquid Foundation seems to create this beautiful blurry veil over the surface of the skin. Texture wise it’s simply perfect – no greasiness whatsoever, absolutely no residue, yet it’s not drying. It feels ever-so-slightly mattifying, actually, but not tight or uncomfortable. It really is one of those “second skin” foundations that we all are on the eternal search for. I have used it over a primer (Cover FX Clear Prep as my skin is dodgy at the moment) but it actually needs no extra help whatsoever – despite its light texture, it seems to fill and prep the skin beautifully whilst providing good coverage and that amazing, hazy-blur effect. So, the practicalities: the Frame Fix foundation comes in a glass, pump-action bottle. It’s hard to get hold of, Selfridges are the only UK stockist I think, but you can order it online here. 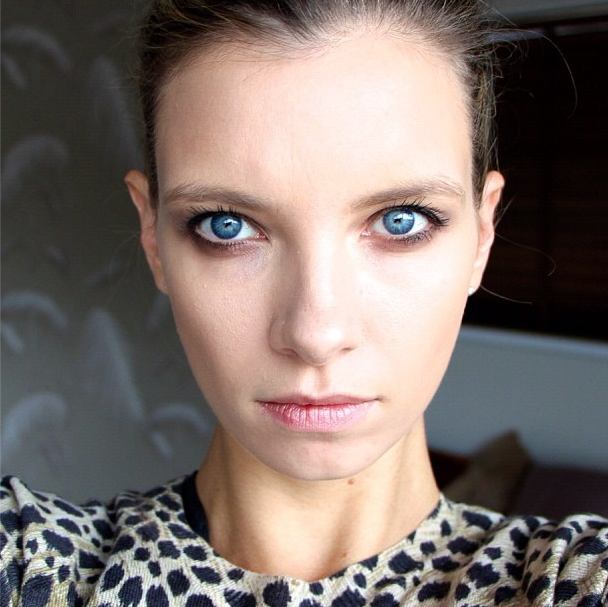 It is stocked in six shades online (I am wearing 202) and each costs £65. I think that it’s marvellous stuff – after six weeks of pretty much everything making me break out into pustules (don’t ask), this seems to be nicely non-aggravating. Steep in price, yes – but if you think that’s expensive, then check out the best powder brush in the whole wide world. Worth every penny.